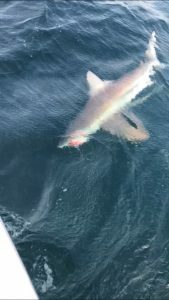 Spring break is in full swing here and we are seeing some college aged anglers and it seems every one has questions about Sharks and Sailfish. 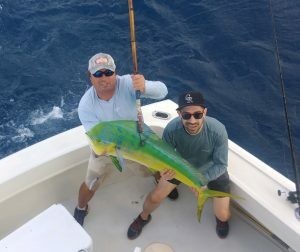 We are happy to provide that information and also verse them on Mahi-Maki, Kingfish and Wahoo possibilities on fishing charters in Ft. Lauderdale. Seems most have little interest in table fare and show a lot more interest in “big”. 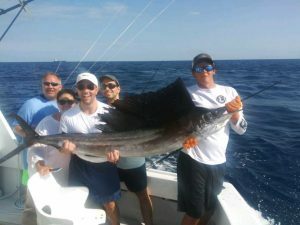 All good fun with good kids of all sizes and fish of all sizes too, and here’s what has been happening offshore. Picking away at some Kingfish up on top of the reefs and some fully grown hard pulling Bonito ( False Albacore) finding our baits as well. 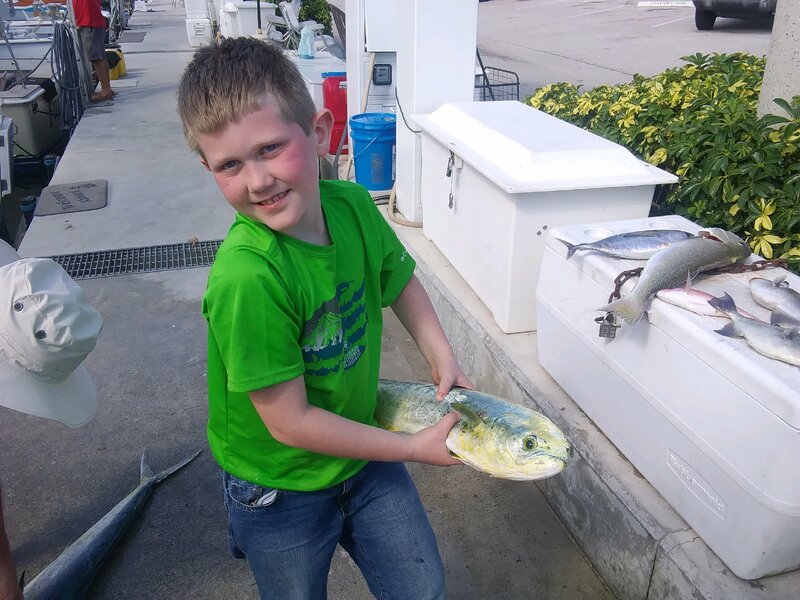 They pull hard when we catch them on the Kingfish baits, and really hard when they take the lighter tackle rods we set in the spread for them, the Tunas and Mahi-Mahi. Speaking of Mahi a few more showing now. Good one pictured with Capt. Nate and John with this report. The lead photo, a slightly smaller Mahi for a decidedly smaller angler. Just like the one he drew and colored very accurately in his coloring book and proudly displayed for me as his wish list. 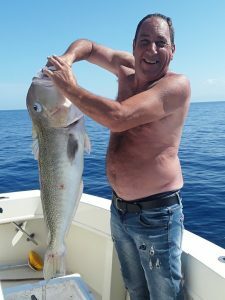 Nice to then catch that fish in the picture. Probably too early to call that a bucket list, wish list works, nice when a plan comes together. Occasional Wahoo and Sailfish. 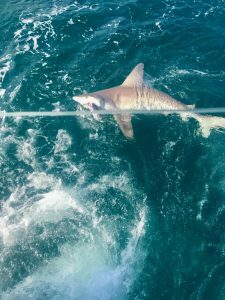 Good sharks available for not just the college kids but anyone looking for a fight as the annual Spring shark migration is under way, and a pretty good chance to fulfill that big fish wish. Tilefish out in the deep water when the current isn’t too strong as to limit holding the bottom out in 800 feet of water. Nice fat one for Terry a regular here with us on a flat calm picture perfect postcard day. See you on the rip.